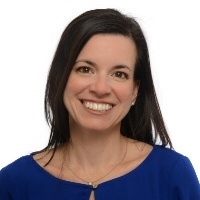 13 years' experience in marketing and product development, including 5+ years at DePuy Synthes Trauma - most recently as Product Director at DePuy Synthes Trauma. 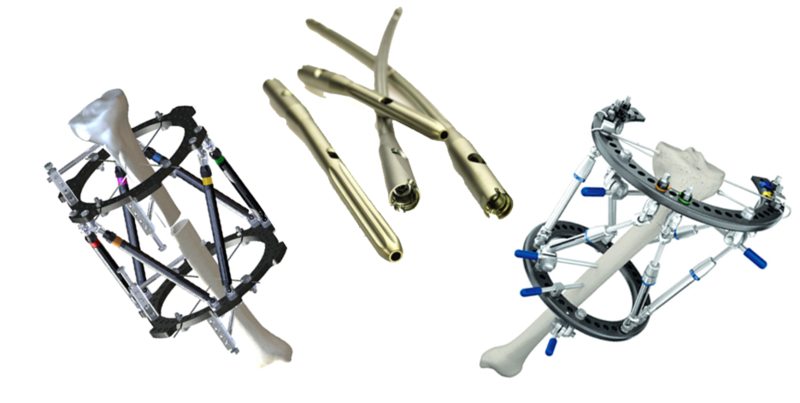 SmartTRAK Attending American Orthopaedic Foot & Ankle Society Meeting In Boston, MA. 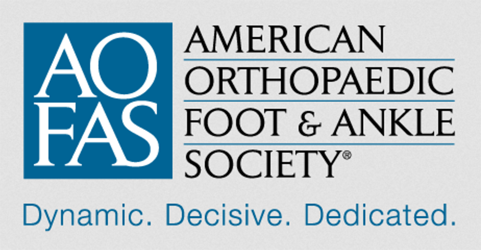 SmartTRAK is excited to be attending AOFAS 2018 - American Orthopaedic Foot & Ankle Society - on July 11-14, 2018 in Boston, Massachusetts. 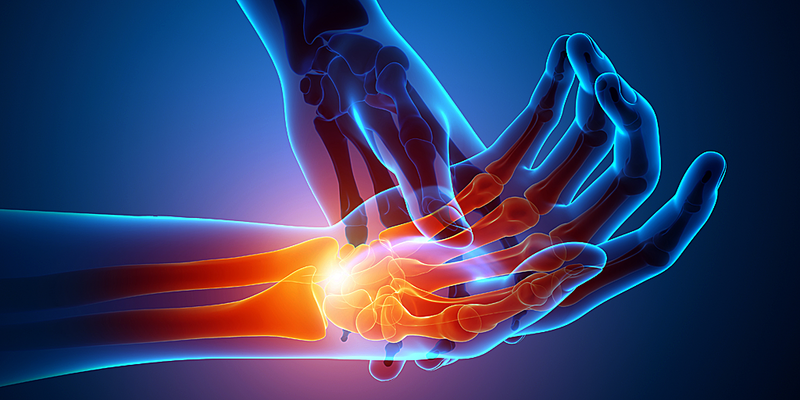 Representing SmartTRAK will be Natasha Weeks, Sr. Analyst, Trauma & Extremities Fixation, Christopher McCarthy, VP Corporate Accounts, Orthopedics and Neuro and Michelle Calderon, Account Manager, Orthopedics. Please contact us if you would like a meeting! 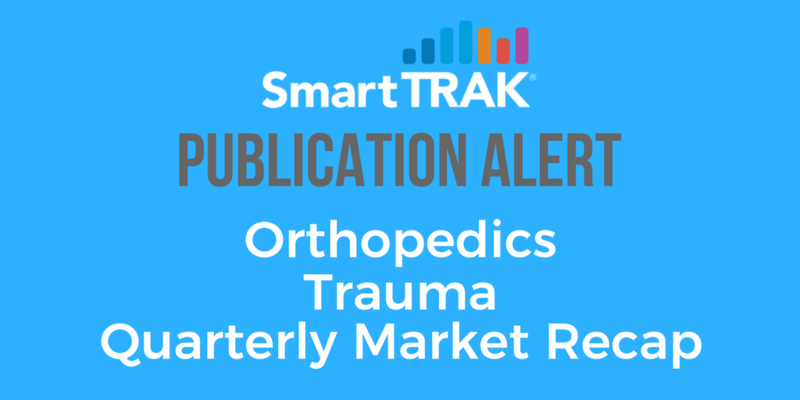 SmartTRAK's Trauma & Extremities Fixations Sr. Analyst Natasha Weeks identified several key product trends at the Orthopaedic Trauma Association’s (OTA) 33rd Annual Meeting in Vancouver, BC Oct. 11-14, 2017, as manufacturers looked to differentiate themselves and gain share in the US Trauma market, projected to reach over $2.2B by 2021. 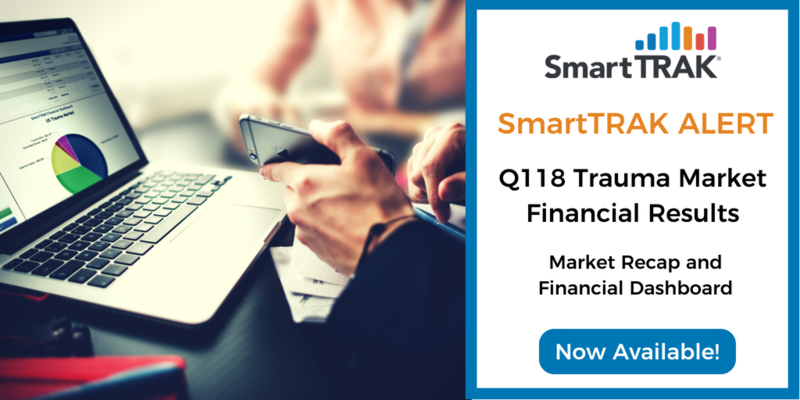 SmartTRAK, the leading source of competitive life sciences intelligence used by the top ten global orthopedic & wound care companies, has published its Q118 Trauma Market Recap. SmartTRAK, the leading source of competitive life sciences intelligence used by the top ten global orthopedic & wound care companies, has published its 2017 Trauma Market Recap and Financial Dashboard. 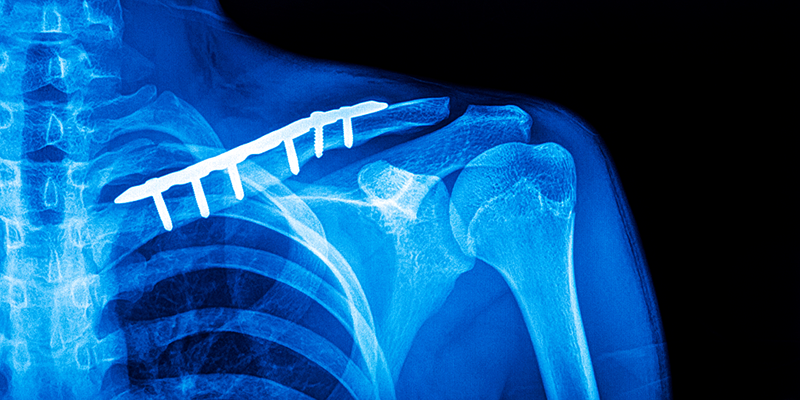 New products and players, along with healthy international sales, gave the Trauma Market a boost in Q317. Strong US growth supported by healthy international sales helped propel the WW Trauma Market up in Q317 – the second quarter with growth. 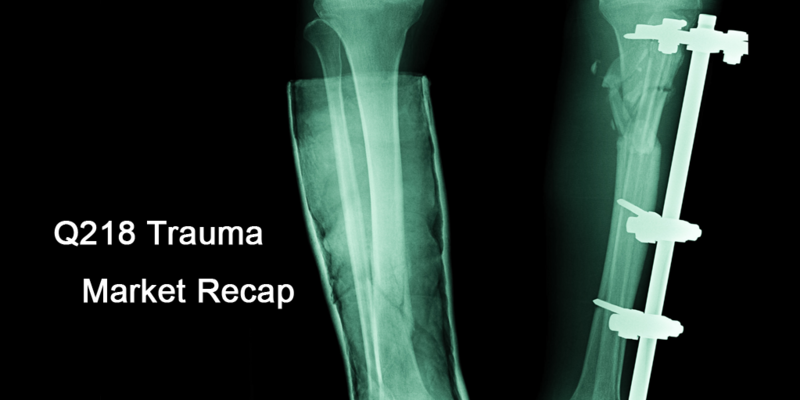 Despite more difficult comps, the trauma segment continued to post yet another quarter of steady growth. IM Nailing, the segment powerhouse, led the charge while Plates & Screws followed suit.